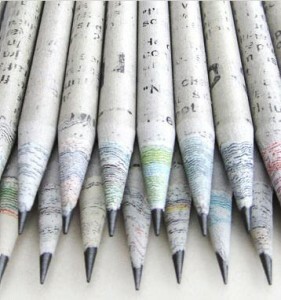 Ten Classrooms will receive a packet of pencils made from recycled newspapers. 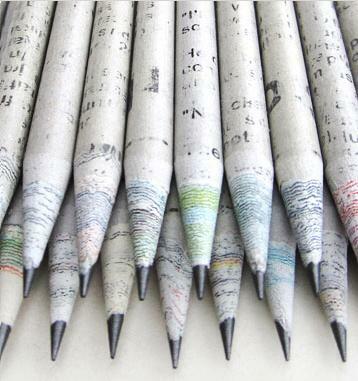 The first 10 classrooms to send a math problem will get a packet of pencils recycled from newspapers for their classroom. It’s fun and there are many sources for Earth Day Facts. Americans buy 29 billion bottles of water a year, more than any other nation. It takes 17 million barrels of crude oil to make this many plastic water bottles. How many billion bottles can be manufactured from one barrel of crude oil? Extra Credit: If Americans only bought 10 billion bottles next year how many barrels of oil would that take? This entry was posted in Uncategorized and tagged Earth Day, fun math, math problem, recycling plastic. Bookmark the permalink.